Many people retiring with an annuity will never benefit from their full pension on early death yet by adding guarantees your family can receive the remaining fund with interest. Annuities offer the peace of mind that you will receive a guaranteed income for your lifetime. However, to maximise the income you receive you would need to select a single life, level annuity and this would leave you exposed to the possibility that on early death the income stops and the provider retains the fund. This could mean the majority of the fund would benefit the provider rather than your spouse and you can add a guaranteed period to ensure the whole fund is protected with interest. On early death the remaining guaranteed period is paid as a lump sum to your estate and the longer the guaranteed period the greater the amount paid. The maximum is a 30-years although this would reduced the starting income you would receive. 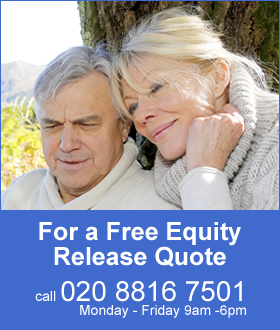 For people that need the security of an annuity but really do not want the provider receiving any of their pension, a long term guaranteed period can achieve this and even return the gross fund with interest. The guaranteed period is from the start of the annuity and on early death the income would continue for the remaining term and paid to your spouse. The above chart for a fund after tax free cash is paid of £100,000 to buy an annuity shows the guaranteed gross amount you can receive during your lifetime and in the even of early death, the remaining amount to will be paid to your spouse or estate. It assumes the fund of £100,000 has a guaranteed period from 5 years to 30 years for a 65 year old buying an annuity on a single life, level basis. The longer the guaranteed period the more time the income will be paid and the fund is paid out in full with a term of 21 years. 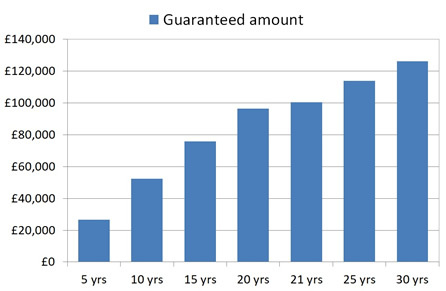 For a 65 year old, if you select a guaranteed term of 25 years the payout is a gross amount of £113,900 and with the maximum term of 30 years the payout is a gross amount of £126,220 which means you would receive the original fund with interest. The above table shows a person with £100,000 buying an annuity and the breakeven period in years required to ensure the gross annuity payout will match the original fund. The younger the person the smaller the annuity income you will receive and the longer it will take to breakeven, that is in this example to receive back in gross income your original £100,000 fund. A 55 year old will need a guaranteed period of 27 years to breakeven whereas a 75 year old will need a guaranteed period of 18 years to breakeven. The table also shows the maximum amount the annuity will payout for a 30 year guaranteed period and the annuity income payable for this term for people aged 55 to 75. The older you are the higher the income from the annuity as your life expectancy reduces. On early death of an annuitant under the age of 75, an annuity will pay income to a spouse tax free and over this age marginal rate tax would be payable. The income would be payable for the remaining years in the guaranteed period whether this is needed or not. One way to add flexibility is with flexi-access drawdown added when the annuity is set-up. Drawdown is a tax-advantaged wrapper that can shelter the income from an annuity if the annuitant dies aged 75 and over. 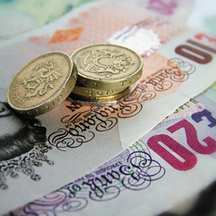 The income from a guaranteed period can be placed in a cash account within the drawdown plan. While the income remains in the drawdown cash account no tax will be deducted as this is only deducted when paid from the account to a spouse. The income would accumulate over time and be available to access at any time as income or paid as a lump sum. This could be useful if your spouse did not require more income or wanted to reduce income to below a tax threshold. As the income remains in drawdown and the owner is now the spouse, they can nominate beneficiaries such as children, thereby allowing the original pension to flow between the generations if the spouse does not need the income for themselves.